Christmas is known as much for hectic shopping centres as it is for mistletoe and goodwill. Having to rush around avoiding excited children, disgruntled parents and crowded shops is a familiar feeling to many. That could be partly behind the reason why so many are turning to using their 'digital wallets' by shopping online through their mobile phones. 2013 has been named 'the year of the mobile Christmas' and not without good reason. Sales in all fields would obviously be expected to rise around Christmas time but a trend is definitely emerging when it comes to sales from customers' smartphones. IMRG, the leading UK body for e-retailing, has predicted that compared with 2012, 64% more of smartphone owners will use their device to shop online during Christmas 2013. Visits to mobile retail sites grew by 135% between 2012 and 2013, while John Lewis reports that 50% of its site traffic comes from mobile devices. The rise in mobile shopping has also lead to the rise of apps by major retailers, designed to take advantage of this increase in popularity and make the experience easier for consumers. So rapid is the growth of mobile shopping that retail analysts have predicted consumer spending done via smartphone will rise to an estimated £23bn (around $37bn, or AU$41bn) by 2018. A combination of mobile optimisation, user friendly content and social media has made shopping on a device easier for consumers. This has drawn them from the chaotic shopping centres to the comfort of relaxing at home, purchasing gifts with their phone. 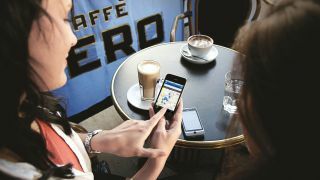 Tamlin Roberts, Mercurytide's Director, said: "Mobile shopping's trajectory shows nothing but promise. The benefit of targeting these users has also resonated with business owners, mobile sites, apps and responsive websites have provided an ideal opportunity to build relationships with customers."